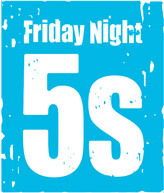 What is Friday Night Fives? 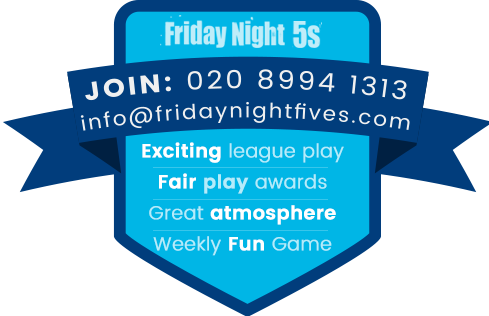 Friday Night 5s are London’s leading local 5-a-side children’s football leagues – built on friendship, fair play and fun. 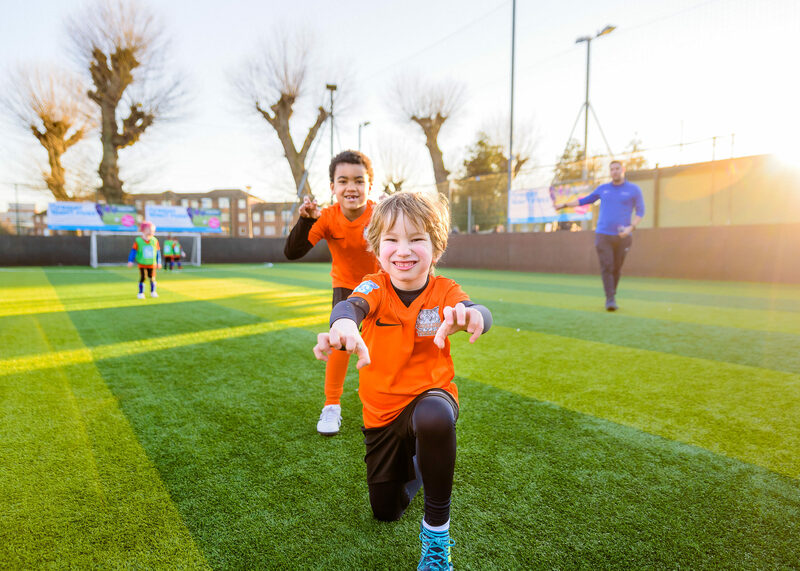 Our leagues are for boys and girls of all ages and run from 4pm throughout term time at locations in Barnes, Chiswick, Hammersmith, Fulham and Balham. Why do kids love it? On the pitch, our referees champion fair play and award players for effort and not just skills. Places are limited so get a team together and reserve your team’s place in next term’s league today. 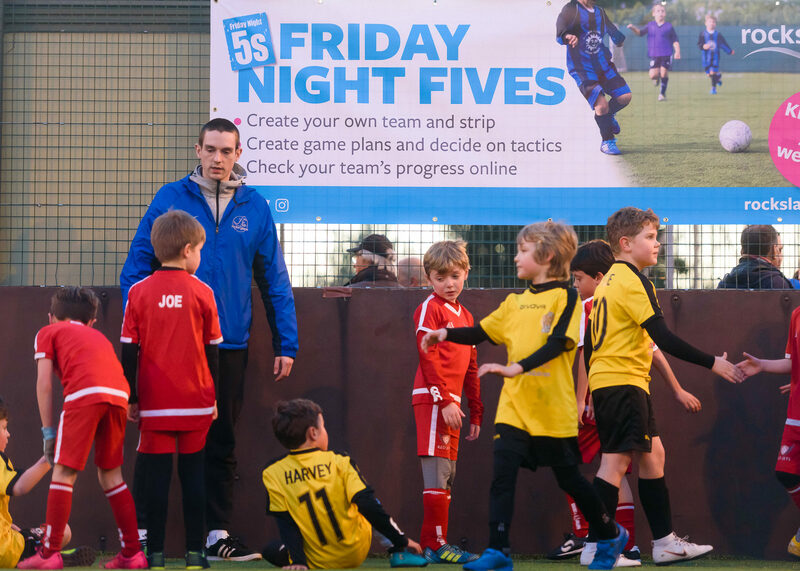 "The kids develop confidence on the ball"
Friday Night 5s kick off from 4pm at our venues in Barnes, Chiswick, Fulham, Hammersmith and Balham. Our younger teams play first and each match lasts 40 minutes. Every game is overseen by our referees, who also award points to each team for Fair Play. Each season lasts one school term, with teams promoted and relegated after each season. At the end of each Season trophies are given to the leading teams, best players and the Fair Play team winners. Once you’ve got your team together, it only takes a few clicks to reserve your Friday Night 5s team place while there is still availability. We are now taking online deposits of £100 to reserve team places at our venues for next term. Which team will be the champions next season? If you want to join our leagues simply get a team of 5 or more players together and put your deposit down to reserve a space on one of our leagues. There is no limit to the number of players per squad, although of course only 5 can be on the field at any one time! For those without a team, please contact us today as we can often put you in touch with others looking to build a team. Our leagues are built upon the values of friendship, fair play and fun – principles that embody the true spirit of the game. Our referees ensure each game is played fairly and that the conduct of players and parents is always tolerant and respectful as defined in our Code of Conduct. 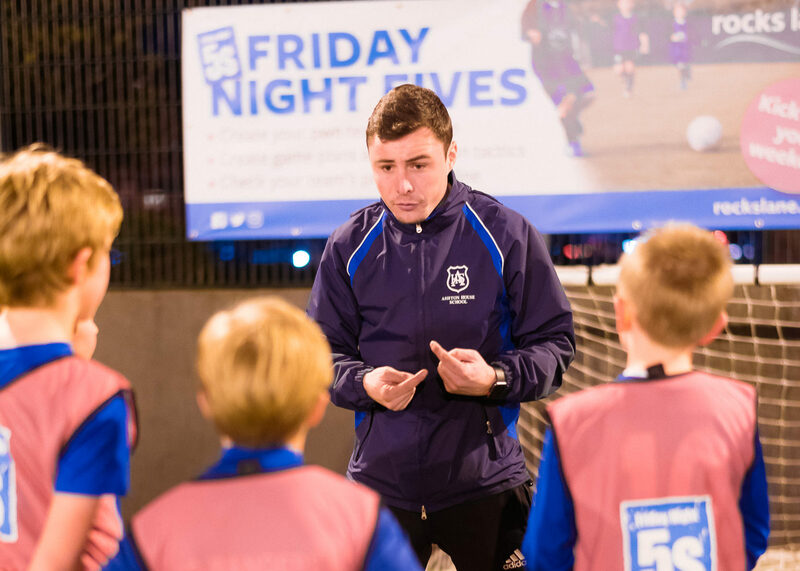 We encourage player skills development, with our integrated coaching approach. Teams can learn new techniques with a Rocks Lane coach on weekdays and then put them into practice in league games while their coach provides tactics and advice as their Match Day Manager. Most of all though we encourage all teams to come and enjoy themselves in a supportive environment – building personal resilience and personality amongst players over the course of each season – win, lose or draw.